제품설명건조하고 칙칙한 입술을 촉촉하게 보호해줍니다. 0.7 x 0.7 x 3인치 제품입니다. 입술이 건조해 질때 사용 바랍니다. 영문 제품설명Bioderma Atoderm Lip Balm features a deeply nourishing formula that can help keep your lips from cracking. 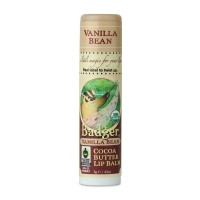 Featuring a soothing blend of shea butter and vitamin E, this lip balm works to diminish dehydrated skin while restoring its suppleness. 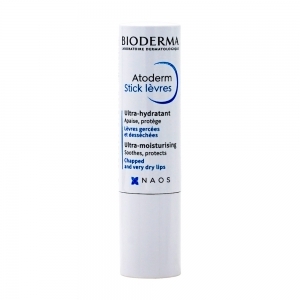 Directly apply Atoderm Lip Stick on your lips as often as needed. Mineral Oil (paraffinum Liquidum), Paraffin, Microcrystalline Wax (cera Microcristallina), Synthetic Wax, Butyrospermum Parkii (shea) Butter, Lauryl Pca, Beeswax (cera Alba), Tocopherol, Lecithin, Arachidyl Propionate, Tocopheryl Acetate, Retinyl Palmitate, Ethyl Linolenate, Bht, Ethyl Linoleate, Ethyl Oleate, Laminaria Ochroleuca Extract, Octyldodecanol, Caprylic/capric Triglyceride, Fragrance.